Indulge in a tropical escape for less with timeshare resale or rental accommodations at Keauhou Kona Surf and Racquet Club Resort in Hawaii! 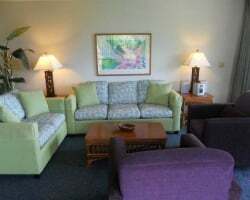 Browse SellMyTimeshareNow.com and find units priced up to 70% off retail. 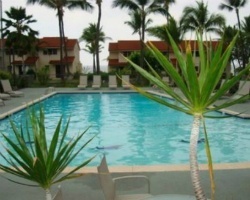 What’s My Keauhou Kona Surf and Racquet Club Timeshare Worth? Situated on the famous Kona Coast on the Big Island of Hawaii sits the stunning Keauhou Kona Surf and Racquet Club. Offering all sorts of recreational activities on-site, you'll enjoy access to a large swimming pool, tennis courts, a clubhouse, and picnic areas with barbecue grills. This family-friendly resort is conveniently located near top local attraction so you can easily have a fun-filled vacation without straying too far from the resort. Just minutes away you'll find volcanoes, national parks, historical monuments, gorgeous beaches, and much more. Choose from a spacious one- or two-bedroom suite accommodating four to six guests comfortably. Each unit provides many homey features to make your stay as comfortable and convenient as possible. Make your own meals with your own fully equipped kitchen, relax and watch a movie in the spacious living room, pack less with the ability to do laundry in your personal washer and dryer, and enjoy vibrant sunsets from the privacy or a balcony or patio. 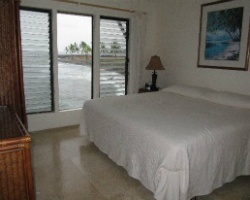 Let us help plan your perfect getaway to Keauhou Kona Surf and Racquet Club today! Start by filling out the form on the right or feel free to call us at 1-877-815-4227 for further assistance. Vacationing annually in Hawaii doesn't have to be expensive when you buy a Keauhou Kona Surf and Racquet Club timeshare on the secondary market. Here, you'll find a great selection of properties advertised by-owner at prices that are significantly lower than the going retail rate. This is because the prices don't include any sales commissions or hidden taxes and fees that developers tack on. As such, you are only paying the worth of the timeshare, making ownership attainable on any budget. Resale savings can be up to 70% off, saving you thousands on the purchase price. Our inventory of Kona Surf and Racquet Club resales features Right To Use fixed and floating weeks with annual and biennial usage. All Royal Aloha Vacation Club resorts have perpetual rights of any of the resorts within the club, making it easy to change up your vacation every time. If you have a fixed week, you can secure your week of choice. With a floating week, you choose based on availability any week within your ownership season for a bit more flexibility. Royal Aloha Vacation Club (RAVC) is one of the oldest vacation clubs in the U.S. and the first to be registered in Hawaii. 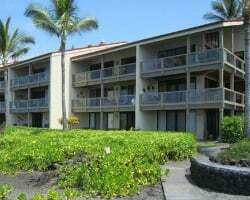 Keauhou Kona Surf and Racquet Club Resort is fortunate to be a part of this exclusive network of properties. As an owner at this resort, you have the opportunity to vacation at any of the nine resorts across the U.S. with select properties in Mexico and Spain. This ensures you can visit a different resort every year and mix up your vacation experience. Another benefit to RAVC membership is the ability to bank your vacation weeks for up to three years. This is helpful if you aren't able to travel one year or want to plan an extended vacation. With Royal Aloha Vacation Club, you can make your vacation exactly the way you want it to be every time. In addition to the exchange options available through Royal Aloha Vacation Club, Keauhou Kona Surf and Racquet Club is affiliated with both RCI and Interval International. Being affiliated with both of these leading external exchange companies gives you the opportunity to purchase one or both memberships and travel the world. Once you are a member of your desired external exchange company, you can deposit your timeshare week at Kona Surf and Racquet Club and make a reservation at any of the thousands of resorts available. Both RCI and Interval International pride themselves by only affiliating with the highest quality resorts so that all their members can have the best possible vacation experiences when exchanging through either company. External exchange is an easy way to make the most out of your ownership and travel anywhere on the globe. Immerse yourself in a tropical Hawaiian paradise where you will enjoy dry, sunny weather, gorgeous stretches of beaches, gorgeous flowers and plants, and lush rainforests complete with waterfalls and wildlife. Keauhou Kona Surf and Racquet Club is the perfect homebase for your Hawaii retreat, offering comfortable accommodations and great on-site features including a large swimming pool, tennis courts, volleyball court, a clubhouse, and picnic area with barbecue grills for your cooking pleasure. Minutes from the Kailua-Kona area, you can easily visit volcanoes including Kilauea, Mauna Loa, and Mauna Kea, drive through Hawaii Volcanoes National Park, take in the view at Waipio Valley Lookout, see over 1,000 species of plants at the Hawaii Tropical Botanical Garden, and much more. There are also quaint towns to shop and dine at including Waimea and Kamuela. At night, check out fine dining options or an authentic luau experience or any of the other exciting local entertainment. And of course, it wouldn't be a true Hawaiian getaway without a round of golf, snorkeling excursion, or a surfing lesson! Already Own at Keauhou Kona Surf and Racquet Club?